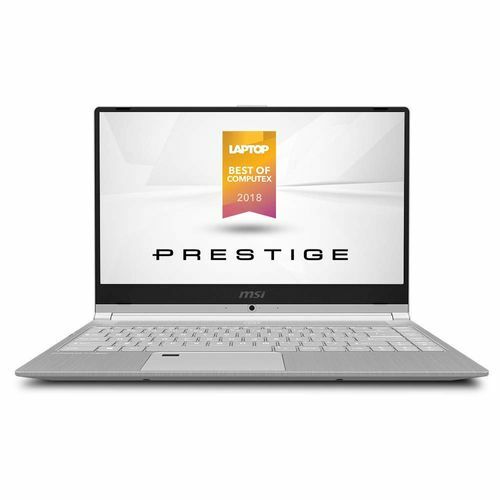 ✓ The highlights of this laptop are 16 GB RAM and 6 Cells Battery Cells which are best available in this price range. MSI GF75 Thin 8RC Laptop comes with price of Rs. 89990. This 17.3 in laptop comes with Windows Operating System installed. The CPU in the laptop is Intel Core i7-8750H with NVIDIA GeForce GTX 1050 Graphics Card. There is 1 TB HDD and 8 GB DDR4 RAM in this laptop which can be upgraded to 32 GB. MSI Prestige PS42 8RB-060 Laptop comes with price of Rs. 273787. The screen size of this MSI laptop is 14 in and it comes with Windows Operating System installed. The CPU in the laptop is Intel Core i5-8250U with NVIDIA GeForce MX150 Graphics Card.There is 8 GB DDR4 RAM in this laptop which can be upgraded to 32 GB. ✓ The highlight of this model is 1.18 kg Weight which is great in this price range. 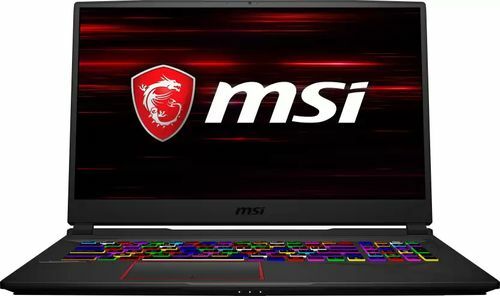 MSI Raider GE63 Gaming Laptop comes with price of Rs. 194800. This 15.6 in laptop comes with Windows Operating System installed. The CPU in the laptop is Intel Core i7 with NVIDIA Geforce RTX 2070 Graphics Card. There is 1 TB HDD and 16 GB DDR4 RAM in this model. 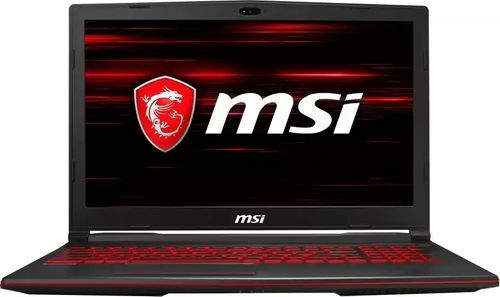 MSI Raider GE75 Gaming Laptop comes with price of Rs. 249790. The screen size of this MSI laptop is 17.3 in and it comes with Windows Operating System installed. The CPU in the laptop is Intel Core i7 with NVIDIA Geforce RTX 2080 Graphics Card. There is 1 TB HDD and 16 GB DDR4 RAM in this laptop . ✓ The highlight of this model is 8 GB GPU Memory which is best available in this price range. Along with this, this model also has 17.3 in Display Size. 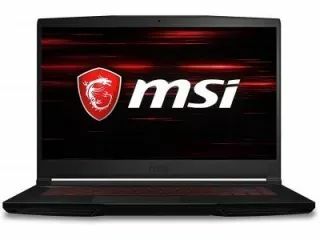 MSI GF63 8RC-211IN Laptop comes with price of Rs. 67990. The screen size of this MSI laptop is 15.6 in and it comes with Windows Operating System installed. The CPU in the laptop is Intel Core i5-8300H with NVIDIA GeForce GTX 1050 Graphics Card. There is 1 TB HDD and 8 GB DDR4 RAM in this laptop which can be upgraded to 32 GB. 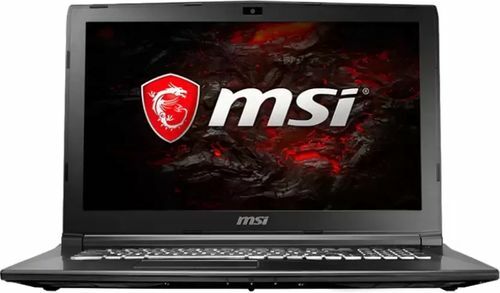 MSI GL62M 7REX Gaming Laptop comes with price of Rs. 99990. The screen size of this MSI laptop is 15.6 in and it comes with Windows Operating System installed. The CPU in the laptop is Intel Core i7 7th Gen with NVIDIA Geforce 1050Ti Graphics Card. There is 1 TB HDD and 8 GB DDR4 RAM in this model. MSI GV62 8RE-050IN Gaming Laptop comes with price of Rs. 96990. The screen size of this MSI laptop is 15.6 in and it comes with Windows Operating System installed. The CPU in the laptop is Intel Core i7 (8th Gen) with NVIDIA Geforce GTX 1060 Graphics Card. There is 1 TB HDD and 16 GB DDR4 RAM in this model. 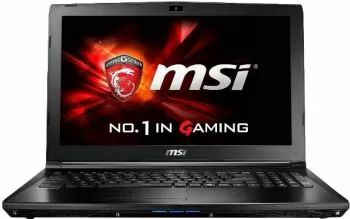 MSI GL63 8RC Gaming Laptop comes with price of Rs. 60990. The screen size of this MSI laptop is 15.6 in and it comes with Windows Operating System installed. The CPU in the laptop is Intel Core i5-8300H with NVIDIA Geforce GTX 1050 Graphics Card. There is 1 TB HDD and 8 GB DDR4 RAM in this model. 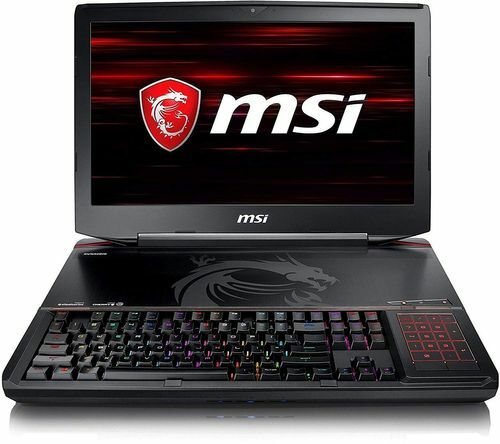 MSI GT83 8RG-007IN Laptop comes with price of Rs. 419990. The screen size of this MSI laptop is 18.4 in and it comes with Windows Operating System installed. The CPU in the laptop is Intel Core i7-8850H with NVIDIA Geforce GTX 1080 Graphics Card. There is 1 TB HDD and 32 GB DDR4 RAM in this laptop . ✓ The highlights of this model are 8 GB GPU Memory, 18.4 in Display Size and 8 Cells Battery Cells which are best available in this price range.